One of the things I liked about monarchy once I began studying it back many years ago were the regalia of each monarchy. Except for Britain these are hardly every used. So today I thought I would highlight the five crowns found in Europe that I like the best. This crown, named after King Edward the Confessor (1042-1066) was created for King Charles II and was allegedly made from materials contained in St. Edward’s original crown. The original St. Edward’s Crown was broken up by Oliver Cromwell when the monarchy was abolished in 1649. 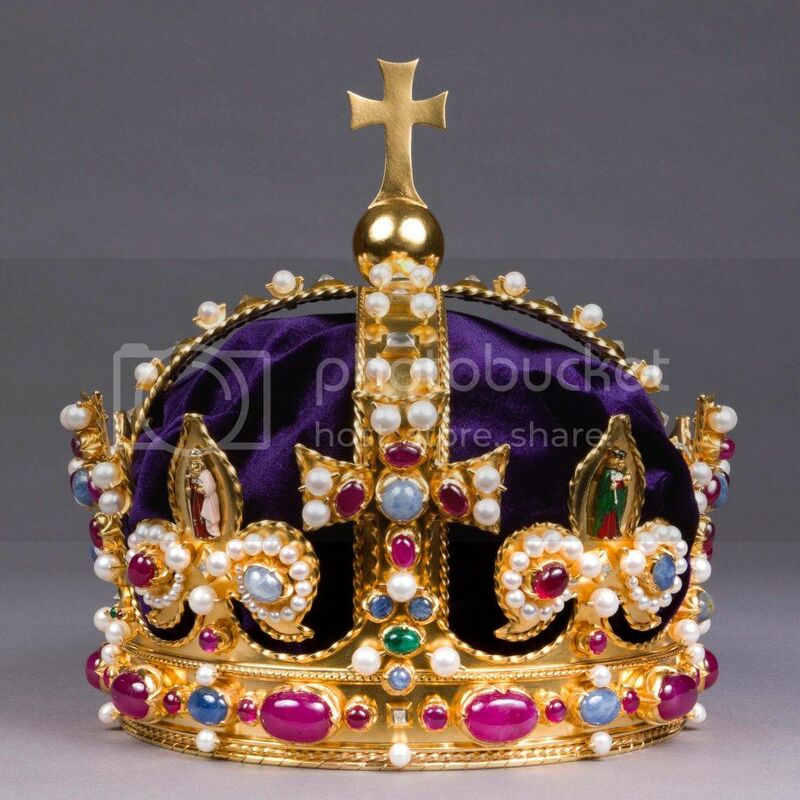 The crown is made of solid gold and contains 444 precious stones. Although it is called the official coronation crown it has not been worn as frequently as its title suggests. Here is a list of the monarchs who have been crowned with St. Edwards Crown since its recreation: Charles II (1661), James II (1685), William III (1689), George V (1911), George VI (1937) and Elizabeth II (1953). Mary II and Anne were crowned with small diamond crowns of their own. George I, George II, George III and William IV used a state crown made for King George I. King George IV used a large new diamond crown and Victoria and Edward VII used the 1838 Imperial State Crown. This version (design) of the Imperial State Crown was made for Queen Victoria in 1838. Although the present Imperial State Crown uses the same jewels and design as the 1838 model this one was made in 1937 for King George VI. The Imperial State Crown is smaller and lighter than St. Edward’s Crown. 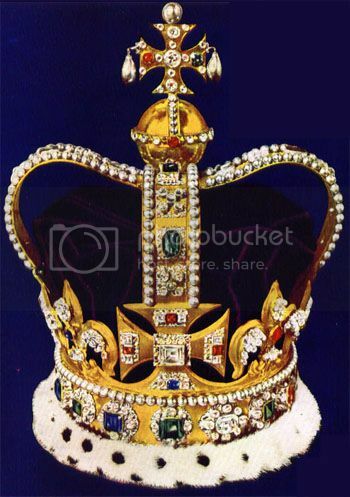 The Crown contains 2,868 diamonds, 273 pearls, 17 sapphires, 11 emeralds, and 5 rubies. The most historical jewels on the crown are the Stuart Sapphire in the back, Cullian II also known as the Lesser Star of Africa which comes in at 317.4 carats and is the fourth largest polished diamond in the world. Atop the cross at the top of the crown is St. Edward’s Sapphire which was taken from a ring or a crown owned by King Edward the Confessor. Above the Lesser Star of Africa is the Black Prince’s Ruby (the Black Prince was the son of Edward III) which is actually not a ruby but a actually a spinel. Both Queen Victoria and King Edward VII used this crown for their coronation, St Edward’s Crown was too large for Victoria and Edward had just recovered from an operation for an appendicitis. Generally the Imperial State Crown is used after the Coronation and annually at the State Opening of Parliament. If the Prince of Wales is up there in year at the time of his coronation I wonder if he will use the Imperial State Crown for his ceremony? This beautiful ornate crown came to symbolize absolute monarchy in Denmark. Made in 1670-71 by Made by Paul Kurtz in Copenhagen for King Christian V and was modeled after a crown worn by King Louis XIV of France. prior to 1660 the crown was elective and there was no coronation in Denmark until absolutism became the style of rule. When the 1840 Constitution ended absolutism a coronation was no longer held. The Crown has since been used only for the castrum doloris (‘camp of woe’) at the death of the monarch when the crown is placed on the coffin. The original Imperial Crown of the Holy Roman Empire was made for Otto I the Great 912-973 and remained in Nuremberg and was only allowed to leave the city for imperial coronations. Therefore, many monarchs had their own personal crowns made for usage at other times. This crown was made for Holy Roman Emperor Rudolf II of the Habsburg family. 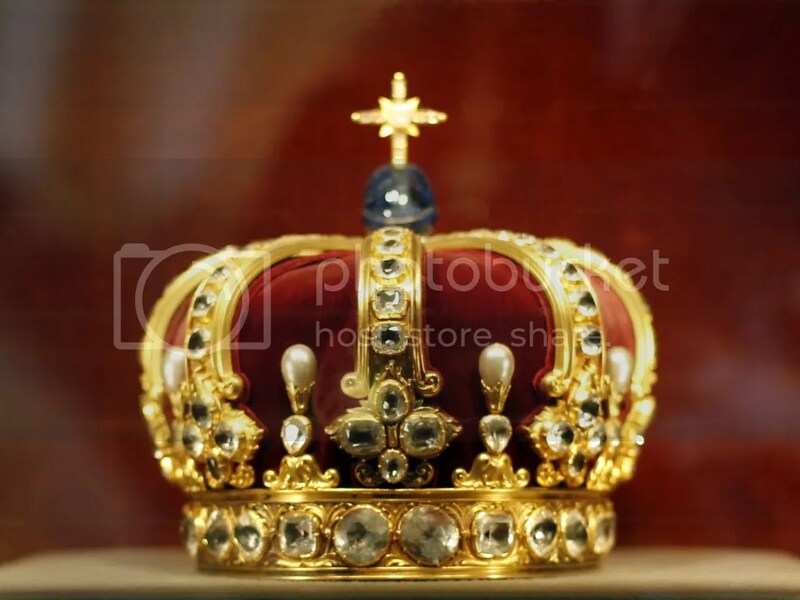 The Crown was made in 1602 in Prague by Jan Vermeyen. This unusual crown was made out of three parts: the circlet, the high arch, and a mitre. 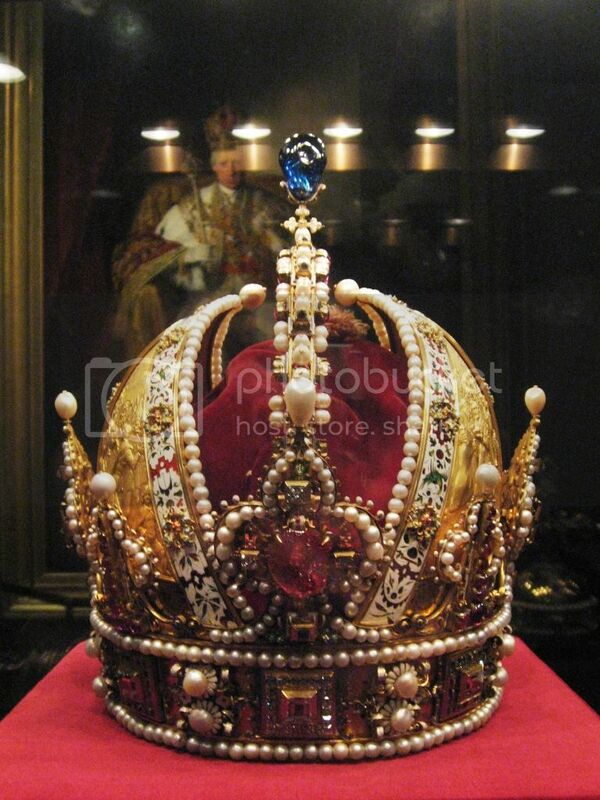 The Crown was last worn by Holy Roman Emperor Franz II who was the only Double Emperor in the history of the world. He was the last Holy Roman Emperor, abdicating that crown on the dissolution of the Holy Roman Empire in 1806. However, he was the first Emperor of Austria obtaining that elevated title in 1804. Therefore for two years he was the Emperor of two empires. 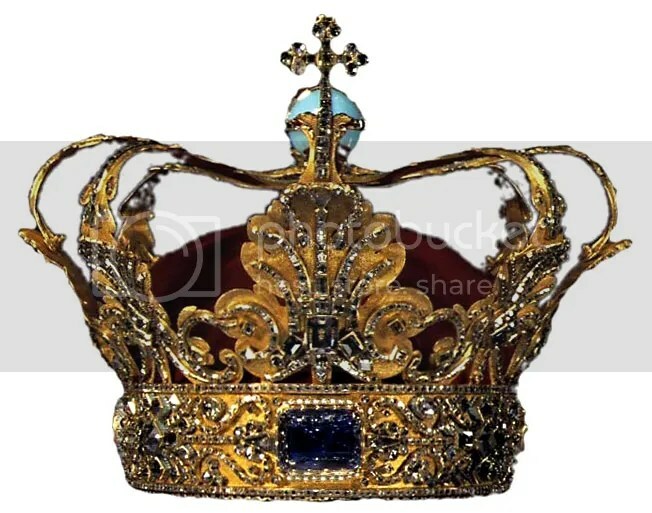 Despite being the Imperial Crown for the Austrian Empire the crown was not used in coronations because the emperors were inaugurated instead of crowned. The crown was created for the last German Kaiser, Wilhelm II. He never had a coronation so this crown was never worn. The crown was made in 1888 to symbolize his rule as the King of Prussia. A Imperial Crown was not made for him. 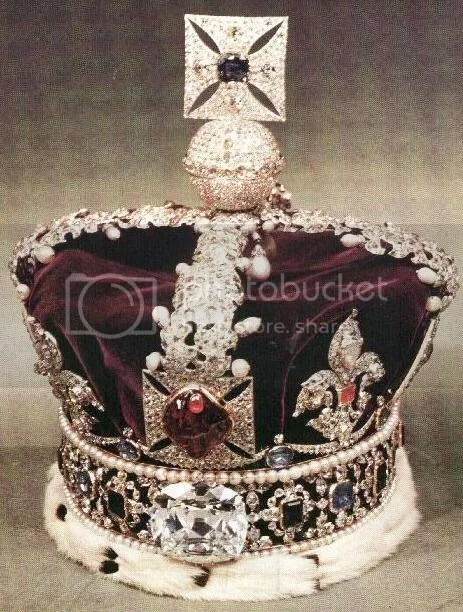 The crown itself contains a large sapphire and supports a diamond-studded cross, 142 rose-cut diamonds, 18 larger diamonds and 8 large pearls. It comprises eight half-arches. This was Wilhelm’s personal crown and did not belong to the state. He was allowed to take it with him into exile in 1918 and today resides in the family residence of the Hohenzollern Castle.